To get everyone into a creative mood, Celia will start with some creative exercises designed to activate the imagination and inspire. 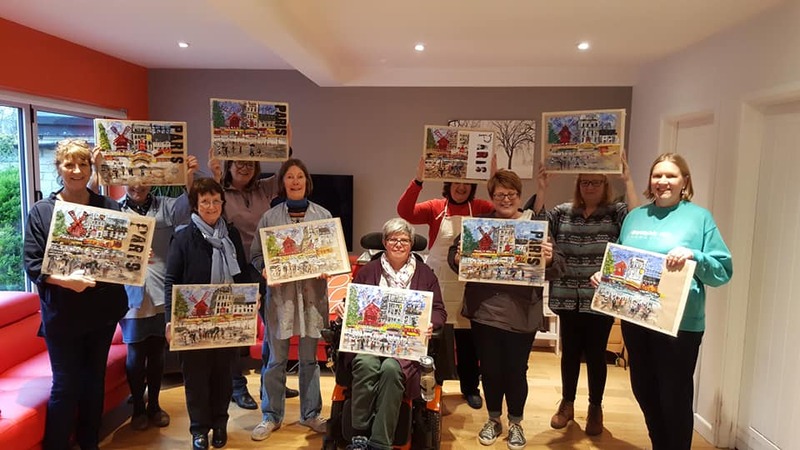 Some people might feel apprehensive, having never painted before, but they will soon be relaxed and enjoying themselves. With the relaxed, encouraging atmosphere, your teams will step into their creative side effortlessly. Celia will give hands-on guidance and encouragement throughout the workshops. 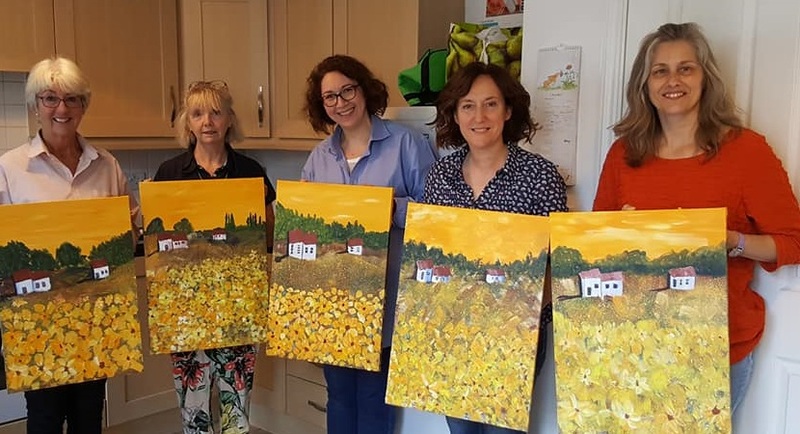 Participants can either paint their own individual canvasses, work together to create a series of paintings to be hung together or one large canvas – the choice is yours. This exercise is perfect for team bonding and for the team to develop a growing understanding and appreciation of each other. Subjects can range from your company’s values, the qualities of the team, to abstract or non-work-related paintings in the style of an artist of your choice. The final works can be designed to show in the office or taken home to exhibit. The results are always stunning and everyone goes away feeling a great sense of satisfaction and pride in their work. The sessions promote team bonding and development by allowing your workforce to learn new skills and interact creatively. The whole experience is enjoyable and cathartic, providing individuals with a fresh energy to be brought back into your workplace, encouraging creative, lateral thinking, which can be used in projects and planning. Celia can customise workshops to suit and will work with you to help you achieve your goals for your event. Please email me at celia@artbyceliabennett.com or telephone me on 07766 240503 for more details and pricing.